Apple just released a new commercial, as part of its new series of television ads designed to promote the iPhone. This new commercial is focused exclusively on the phone’s retina display, and the fact that no other phone in the market offers such a high resolution. 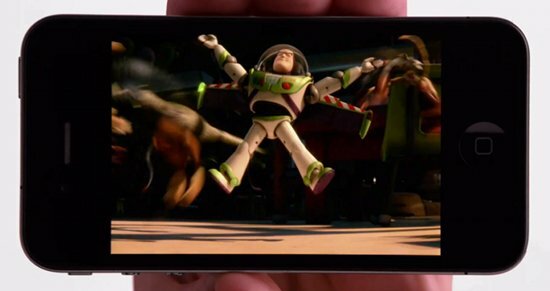 The ad showcases the Photos and the Maps apps that come with the iPhone by default, and also shows high resolution movies, including Toy Story, and a movie made directly with the phone. Just like the previous commercials released over the last ten days, Apple’s message is a bit more aggressive than usual, as instead of the traditional “There’s an app for that” slogan, the commercial opens and ends with a simple tagline, “If you don’t have an iPhone, well, you don’t have an iPhone,” to remind non-iPhone customers that even though their phones might look like iPhones, they simply aren’t.